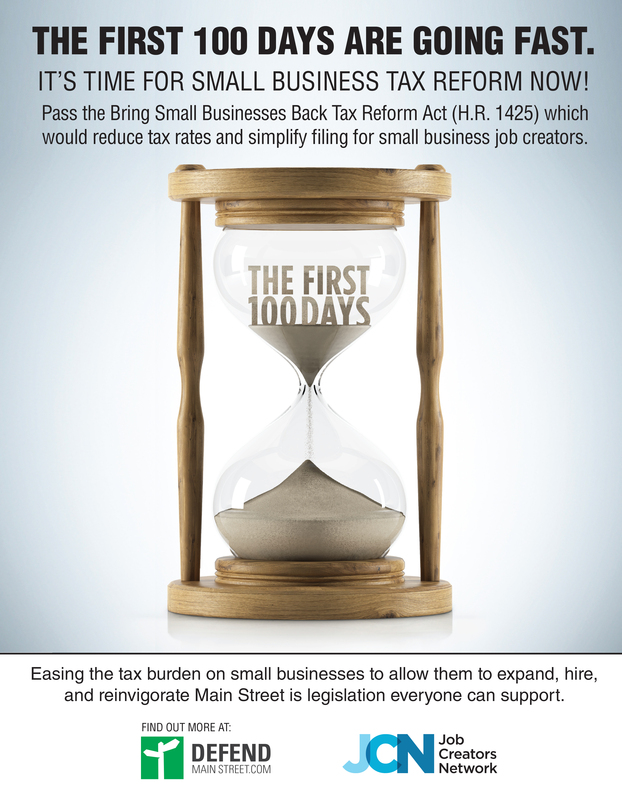 Atlanta—Today the Job Creators Network (JCN) released a full-page ad in The Hill highlighting the Bring Small Businesses Back Tax Reform Act (H.R. 1425)—introduced last week by U.S. Representatives Randy Hultgren (IL) and Jason Smith (MO). The legislation would reduce the tax burden on the nation’s largest job creators—small businesses.